I think it's fair to say that pretty much every form of motorsport can trace it's roots back to the street, but for some reason I always associate drag racing as having the strongest connection. 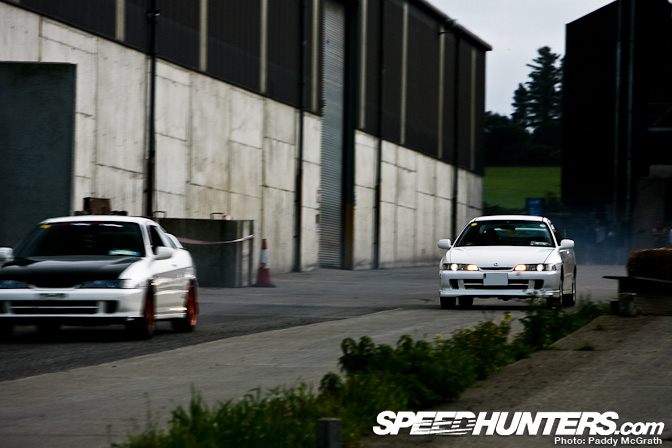 During the economic boom, street racing in Ireland exploded. 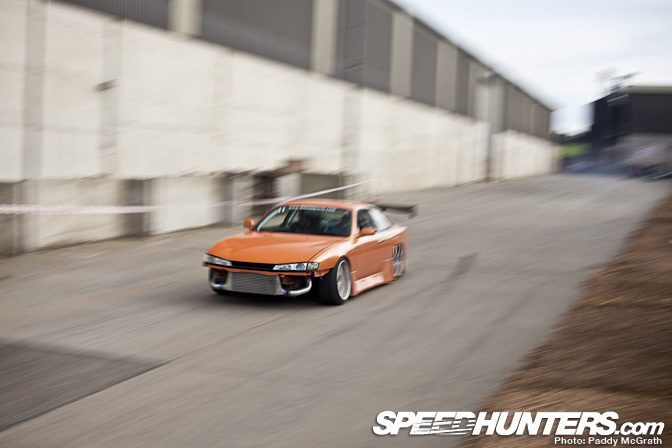 Young guys could import high powered Japanese cars and put them on the road for not very much money. Add to this that there is only one race track in the republic and you can see why so many guys (and girls) took to the streets to test the limits of their cars. Some of the organised events that took place on the street still live on in motoring folkore here. It wasn't uncommon for several hundred cars to arrive into an area and make it their own for the night. The police force (An Garda Síochána) were all but powerless to stop what was happening around them. Through private message boards, these meets were organised to almost military precision leaving AGS playing catch up for years. 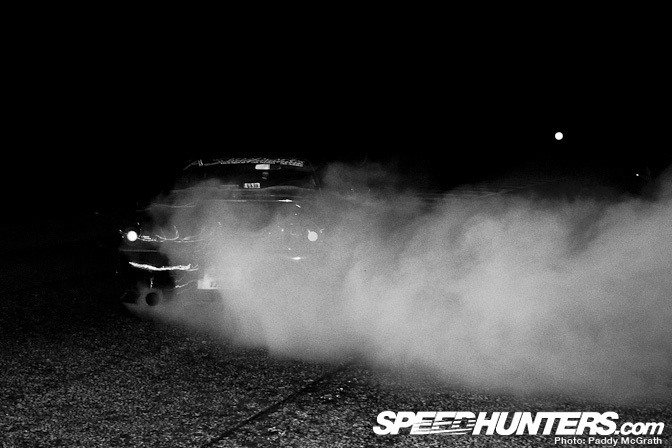 However, although there were those who played by an unwritten code of sort, you could never say that street racing was 100% safe. Either for the 'competitors' or those who happened upon them. But what option were these people left with ? With no genuine legal alternative (Trackdays are both very expensive and are quite far between) these people really had no other option but to turn to the streets. I'm not condoning it but I can sympathise with this group of people. For some reason, it always seems that once you mention 'motorsport' or 'cars' to those in authority, your argument loses it's credibility almost instantly. 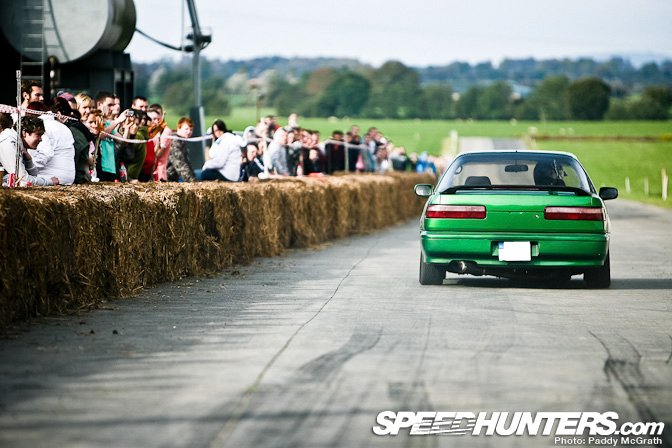 Those outside the automotive scene just don't take us seriously. 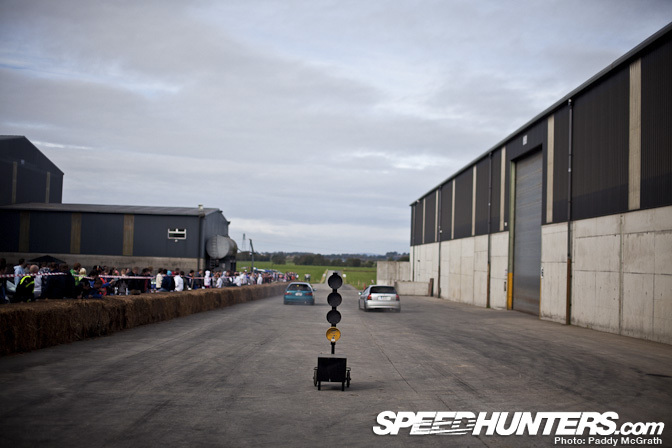 That's why it took a group of car enthusiasts to create Ireland's first legitimate drag strip. It may not be pretty, but Casey's Yard offers a viable alternative to Irish racers. It's not a quarter mile, it undulates, there is no timing equipment and most of the course runs through a field with both lanes using different surfaces. But these details are not important. What's important here is there is finally a place for people who want to drive their cars hard, away from the public road. €30 (Around USD$42) allows you as many runs throughout the course of the day. Since Casey's Yard started facilitating drag racing, everyone I spoke to told me how they had no interest in driving on the streets anymore. 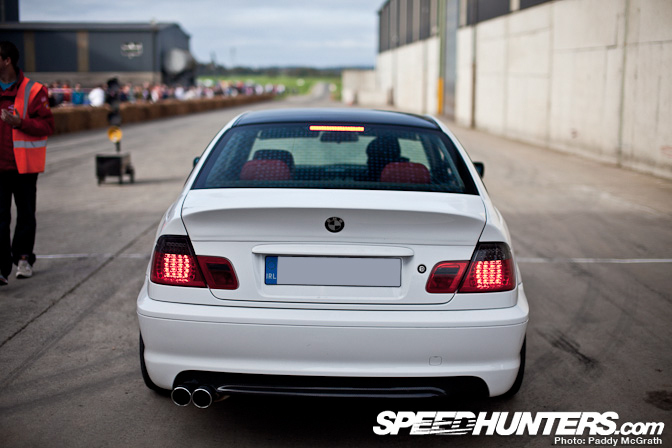 They value their licenses and their safety so having the yard open to them removes the neccesity of street racing. It give's these boys and girls somewhere to legally stretch their right foot. 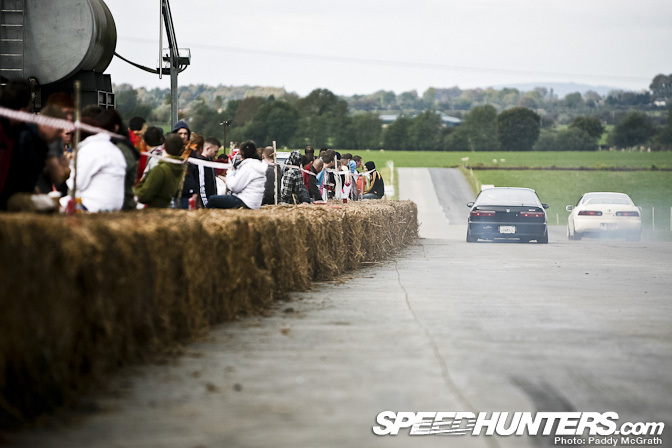 Those of you looking at the bales thinking 'that can't be safe' can rest your worries. Rather than using hay, these bales consist of Miscanthus, more commonly known as elephant grass. They are very, very heavy and do provide adequate safety for those spectating. After every event, the organisers take to the message boards to get feedback on the event in a bid to improve the next one. Each event attracts around 60-70 competitors. When you think about it, that's quite a lot of cars showing up on a consistent basis. … or race another competitor. Even over such a short course, the drivers were doing everything to give themselves an advantage. Road legal semi-slick tyres, low tyre pressures etc. 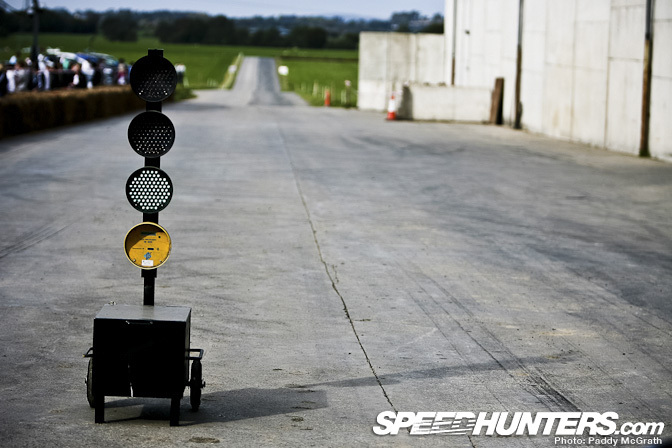 What you're looking at here may not come close to the dedicated drag racing facilities than can be found around the world. To be fair the organisers are doing everything with what they have. You might scoff, you might criticize, you might hate but you have to respect what these people are doing. They've created something from nothing and have taken countless accidents waiting to happen off the road and into a controlled environment. If anything, they've created the perfect case study for the Irish Government to get off their arses and build a proper drag racing facility instead of spending millions every year on pointless road safety campaigns and static speed cameras. It maybe painfully obvious to us that the only way to stop racing on the street is to provide a viable alternative in a controlled environment, but hopefully Casey's Yard will show our politicians and elected representatives the way forward. Nice seeing a family of Hondas. good stuff paddy... first pick is meself in the white ek9.... must be 5 yars ago now. love it! Nice Integra, buddy. I have a '93 myself. Any engine mods? excellent article, Paddy! you've presented a very well-stated and succinct argument for a proper racing facility. from personal experience, here in London, Ontario, there are three drag strips (and a couple road courses) within an hour's drive, and so there isn't that much street racing. 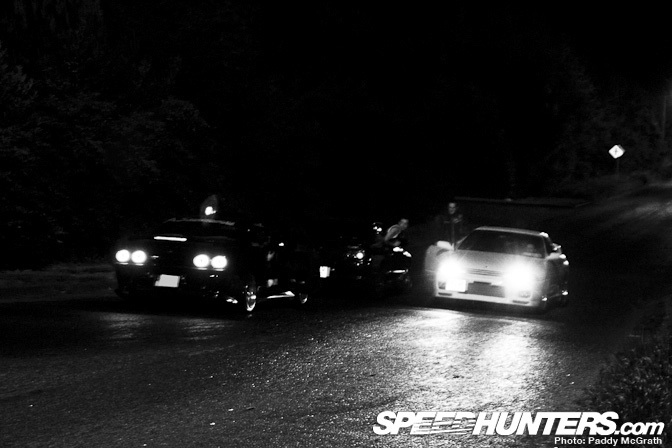 In other nearby cities that don't have such convenient access to racing facilities, the street racing scenes are much larger and more organized. it really is telling when you see it laid out in front of you like this, and if you get down to it, this is exactly the same reason the NHRA was established in the first place! to the point and tells it how it was and now is! hmm maybe over here we should see that every TD and politician gets a look at it and maybe they might get some sense. budgets coming, cheaper to get a decent drag strip going than pay 100's of overweight traffic corp to follow us night in, night out! Pretty cool story here. I do envy the true JDM cars that are available to Europeans. bwhahaha. da with cali plates! ingenious! i love international features. 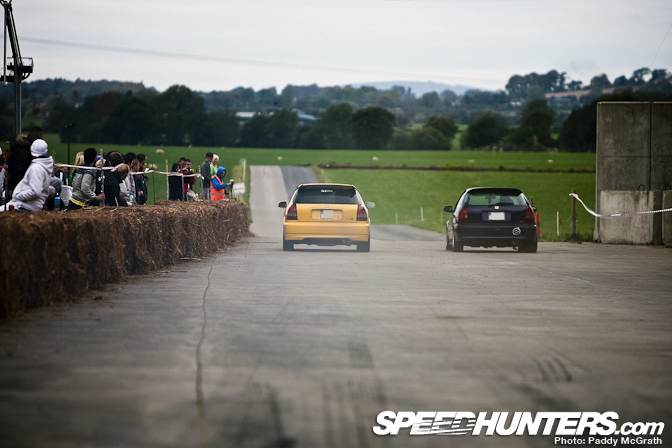 Is that Flip's old Ek9 loosing in th first pic :L:L ?? I think what you have there is actually perfect. With a "real" drag strip you have way too many rules and regulations. Looks like you guys just have a fun place to drive your cars without putting anyone else in danger. I'm jealous. Cheers for the feedback folks, was worried it might sound a bit preachy. 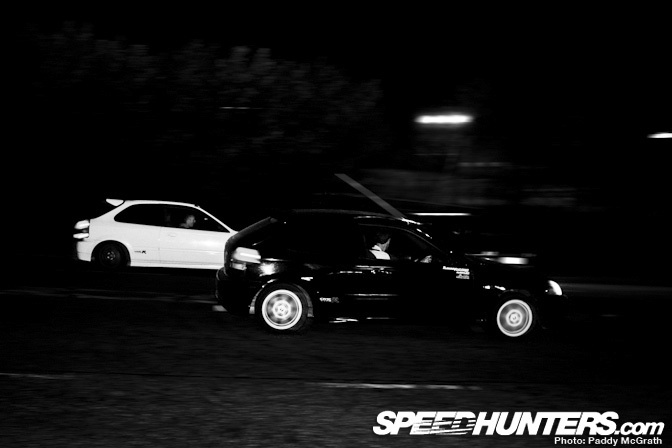 That's actually not Flip or his EK9 in the first shot, although he was there that night his TE37's were still white. we talked about this before - it's a good idea.. at best it keeps the streets free from high speed potential of accidents. it seems cheap enough too - great blog!! It's nice to see so many hondas done right...since most of the honda crowd have moved to either rwd cars or euros a nice big group of hondas is getting more and more difficult to find! And Darren...nice DA! They're the most underrated honda out there...i love it! i wish there was a track here... i dont care too much about a drag strip but man i wish we had a road course. Proper grass roots stuff Paddy. Nicely done. Anything to keep racing safe and off the street. Savage write up, and all very true words. Photo's are excellent too. Good job Paddy. You are completely right paddy. The only problem is the Irish government and there problem is themselves. 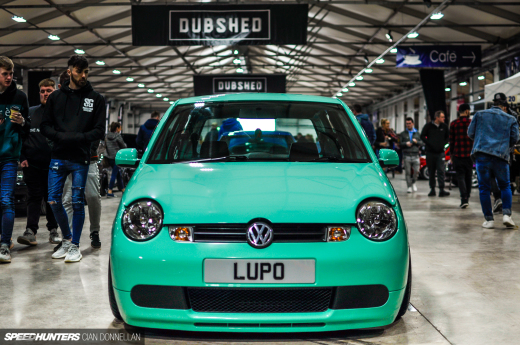 I love reading topics like this, loving the photos and cars!!! very good write up Paddy! this is a clear message to the stupid prawns in the government! although u can youd still get assholes who just dont understand this concept and act like idiots on the road and who give us proper drivers a bad name! Huge thank you for this write up! I liked the write up, I started reading the street racing parts and although I understand the lack of venue I still couldn't approve the potential harm there. Then you step it up and show a legal venue the irish people made with the yard. That's great and exactly what I would do in there situation. 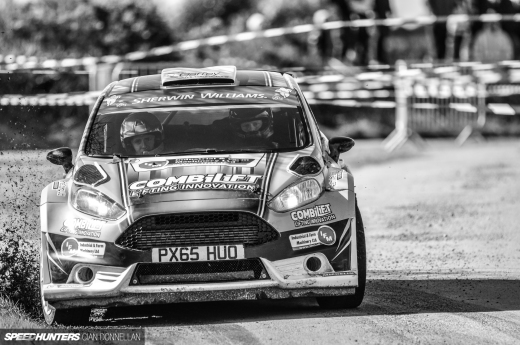 Looks like a fun strip, It doesn't have to be pro level, just something to stretch a cars legs on Great write up!!! coooool feature and write up there paddy. sone familiar lookin liners in them pics 2, lol, must be some older pics. 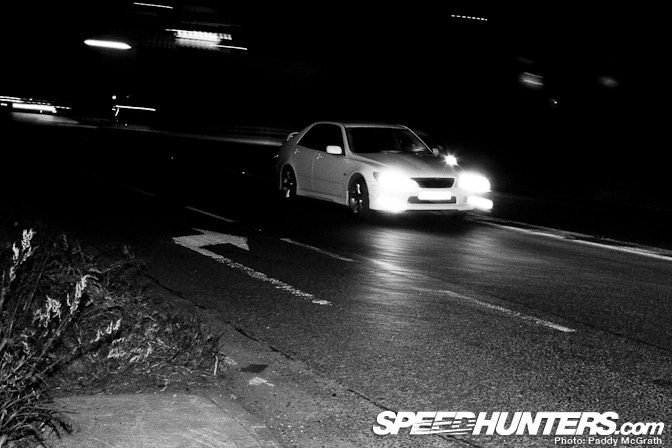 I do condone street racing. 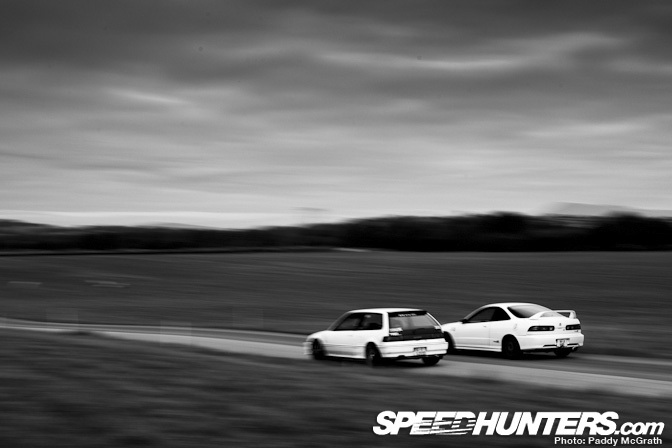 It's competition in one of it's purest forms - it's not about anything more than beating the other car. I have a 08 cbr that can crush most anything but I love love love racing my s2000 even if I know I should lose it's worth trying to win. There are people who will tell you that your going to kill everyone on the planet but after 1000's of them I've never had even one accident.